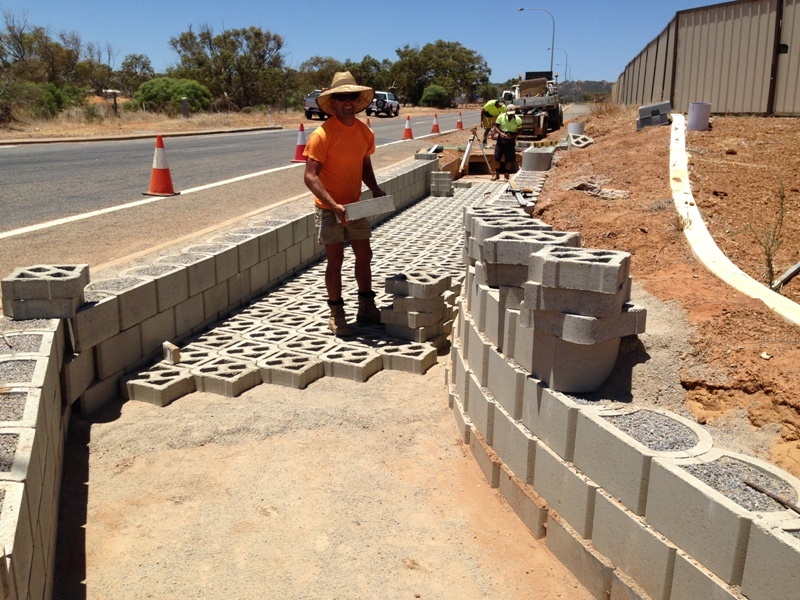 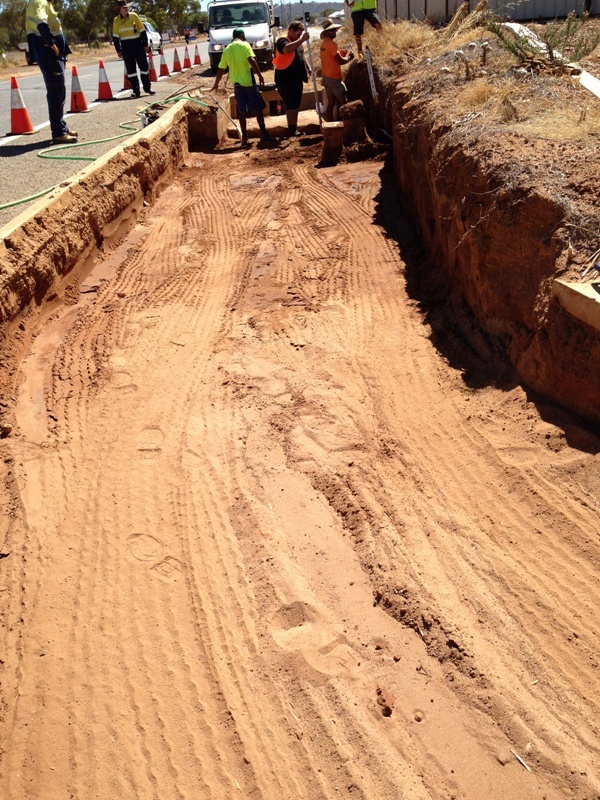 Terracrete permeable paving blocks, in conjunction with the environmentally friendly Terraforce L11 Retaining wall blocks, have been used by the City of Geraldton/Greenough to build a storm water culvert. 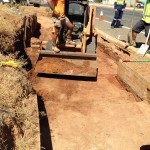 The site requires a semi-permanent structure which can allow periodic access to the gas and water mains. 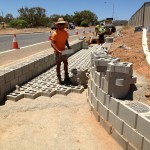 Terracrete Permeable pavers were used on the base, and filled with 10mm stone. 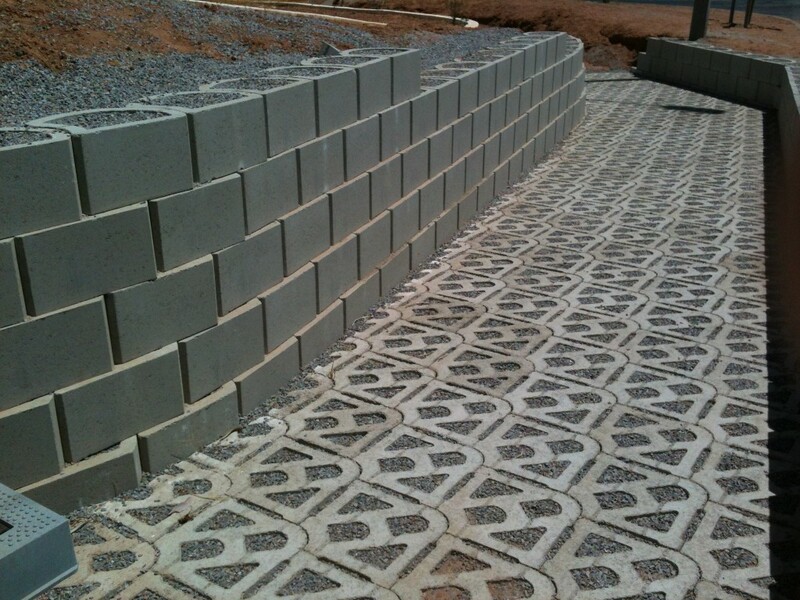 The Terracrete pavers encourage rainwater infiltration and aid in the prevention of erosion, common to such sites after heavy rains. 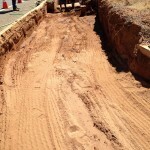 They also reduce rainwater runoff. 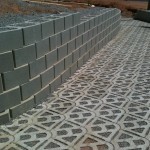 The sides of the structure were built using the Terraforce L11 Smooth finish blocks. 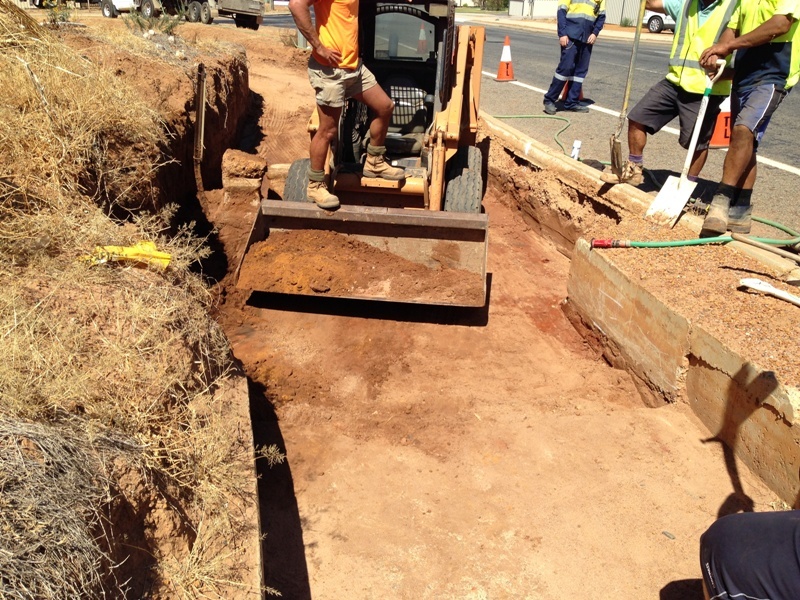 On the road-side, the Terraforce Blocks were concrete filled for strength and built to the contour of the road, and on the opposite side, a standard gravity retaining wall was built, which has been designed to allow removal of some units, when access is required.